Russiaâ€™s accident-prone aircraft carrier is set to be put to the test â€” if it gets there. Its history of embarrassing breakdowns may see an anticipated mission to Syria backfire. 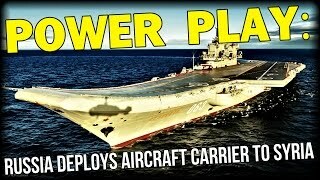 The aircraft carrier is the largest leftover of the Soviet eraâ€™s Cold War still active in the Russian navy. Now Russian government news agency Tass has declared the warship will be sent into the Mediterranean to conduct air strikes against insurgents and Islamic State in Syria between October and January. But Moscow has also given itself some wiggle-room if the troubled 55,000-ton warship canâ€™t put to sea or launch attacks: the government news agency quotes just one â€˜anonymousâ€™ source for the report. Late last year Moscow sent the anti-aircraft cruiser Moskova to the northern borders of Syria after one of Russiaâ€™s combat jets was shot down for violating Turkish air space. 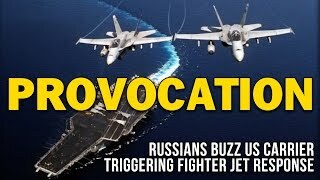 Moscow has also repeatedly voiced its concerns at a recent build-up of US naval forces in the Mediterranean - including two nuclear-powered aircraft carriers - as part of its ongoing operations against Islamic State. The Admiral Kuznetsov carries far fewer aircraft than its US counterparts. About 15 in total. But the ship was designed with a different purpose in mind â€” to carry a large number of long-range anti-ship missiles while providing air cover for its fleet.